Hi friends! I hope you are well! We are ok. It's been a stressful few weeks but we will make it through. I almost forgot to blog today for NaBloPoMo! I was about to go get into bed and watch last night's episode of The Voice but I gotta blog! 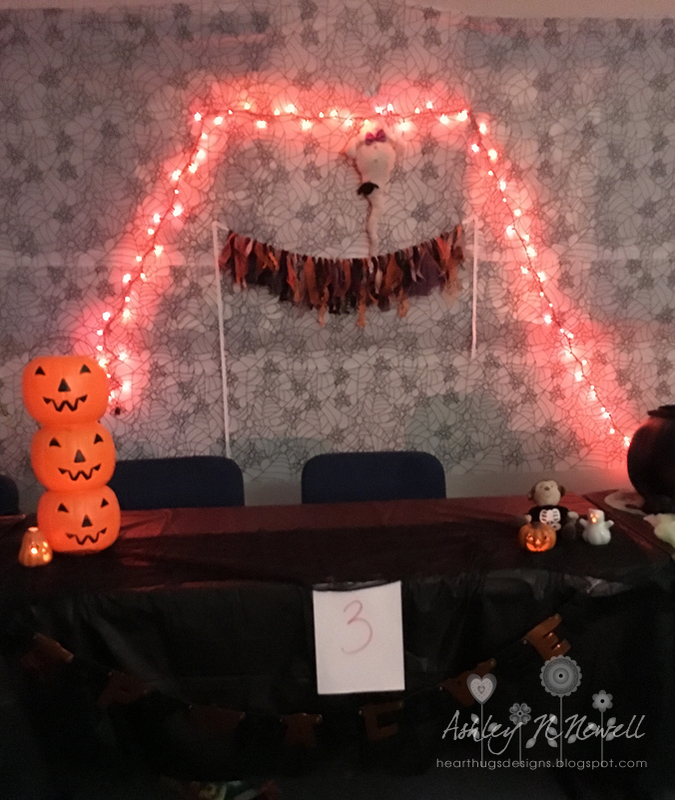 Today, I'm sharing the Halloween table we set up at church for the Harvest Festival. 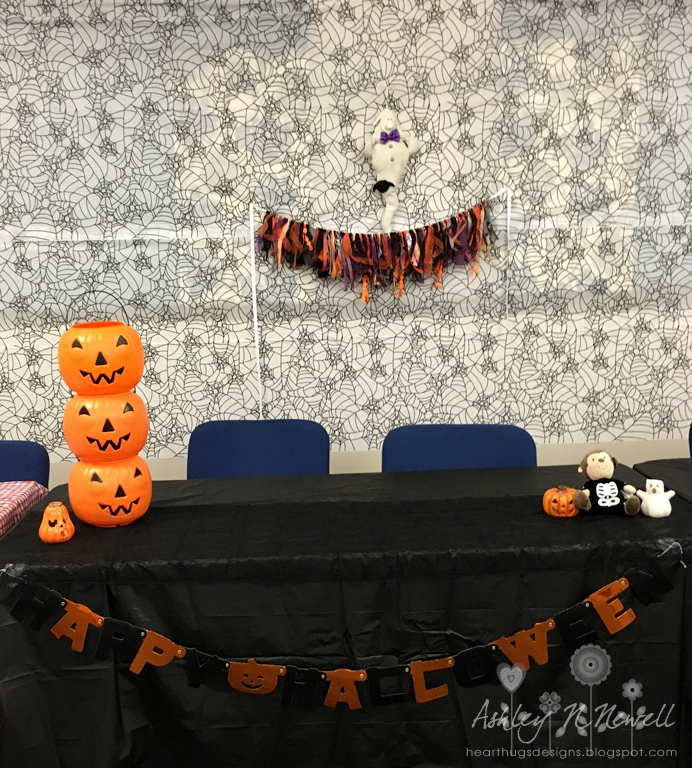 Instead of opening up our trunks for Trunk or Treat, we each decorate a table and have the event indoors. We started this last year because it rained and I guess the church thought that it was a good idea. 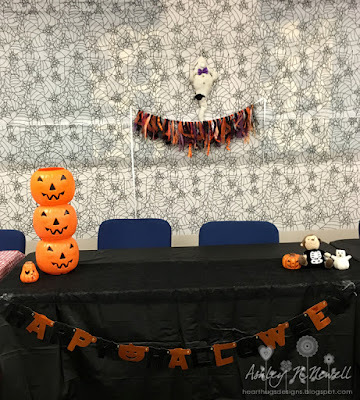 I saw the jack-o-lantern totem pole thing on Pinterest and I just loved it! You already saw the ribbon banner. The rest of the stuff was things I already had at home. Maybe next year I will try to win the best table prize but this wasn't the year people. I went to Target the Wednesday before Halloween to look for some decorations and an employee said "Ma'am, you do realize Halloween is THIS Saturday, right?" Yes, I procrastinate. GEEZ Target, help a lady out! Great halloween alternative! Your table looks great!